Please provide your first and last name, where you live, the state you took the video in and a brief story, including the month and year. We may edit your written submission for brevity and clarity. Keep it all family friendly: No profanity or lewdness. You must own the rights to the video. We will embed the elk hunting videos on this page. If you don't want to upload your video, let us know and we can arrange a way to have you send the video file directly to us. You don't have to submit only professional looking videos. Heck, look at mine below! It's far from professional. I am determined to get better videos of my hunts. It's tough as a solo hunter! Videos from GoPro style cameras are welcome. 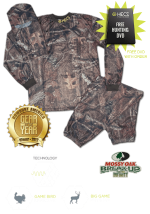 Limited advertising of your business or hunting-related website is allowed on the videos. You may have your URL on the video. When I use my GoPro for elk hunting videos, I turn the beeps and lights off and set it on "one button" operation; on and off. With those settings there is nothing to assure you that it is on, so I carry a small mirror to check it. In this video, I was pleased to see that I had it on after I shot my bull at 5 yards! Next time I'm going to remember to take off my quiver! 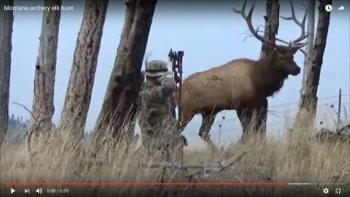 Send us your links to your elk hunting videos. Please provide your first and last name, where you live, the state you took the video in and a brief story, including the month and year. We may edit your written submission for brevity and clarity. Keep it family friendly: No profanity or lewdness. You must own the rights to the elk hunting videos to submit them for publishing here. Here's another Montana bull elk harvest video submitted by Bob Legasa. 3rd weekend of 2013 Wyoming archery hunt. Great weekend with lots of action. Oct 25th, 2013. Great weekend. Felt like September, the elk where going crazy! and we got a nice bull down! This was our first fall filming our outdoor experiences and only our second season archery hunting in Idaho. From September 1st until the last week of the month, we beat ourselves to death to hiking from 5,000-9,500 feet day in and day out before we ran into the bull of a lifetime. This is the elk hunting video I filmed for my cousin. He had the 2013 LE Utah Wasatch Mtns tag. This was opening day and we got on a herd of elk early in the morning down in this draw full of aspens on one side and pines on the other. We called in to the bull and only caught a glimpse of him as he pushed his harem up and away from us. We moved draws and heard some bugles coming down below in this steep canyon. We worked out way down the canyon opposite of the bugling bull. All around were satellite bulls. We slowly moved through cow calling and about noon the bull went silent and must have bedded with his cows. We never had gotten a visual at that point. At about 3 pm the bull we heard earlier started bugling back and forth with another bull in the canyon. The other bull was bedded and appeared to be nice but didn't have cows with him. We waited and finally way up hill across the canyon about 650 yards the bull's cows began to feed out of the pines. Shortly after we saw the bull we'd been hearing during the day. With great mass, swords, and width, he was the one my cousin wanted. We waited as he slowly worked his way towards us heading towards a wallow that was down in the canyon. As he got to 400 yards my cousin placed the first shot perfect through his left should and we later recovered the bullet in his opposite right shoulder hide. The second shot hit him in the base of the neck and sent him rolling. We thought he was done at that point as he slid to a stop. A couple minutes later he started to rise up on his front legs and eventually all four. He stood in place. My cousin's third shot missed just low and a little back, but the fourth shot was perfect behind the shoulder. He still stood there but didn't have long after that. He walked forward another 20 yards where he ended up expiring. What a tough animal and incredible to walk up on. We spent that night cutting him up in a downpour in the dark. We hauled the rest of him out the next morning and we never did use the horses as the canyon was just too steep. What a great experience and I'll never forget it. This elk hunting video is a montage that I put together of a guided elk hunt with Boulder Creek Outfitters in Idaho in October of 2013. We took two bulls on this trip within an hour of each other, both caught on the video. Dustin and Zach grab their bows and head into the mountains for Montana's Archery Hunting Season. Dustin is able to stick his first bull, while Zach takes down a nice single side double brow tine whitetail buck. Parker shoots a 300 inch bull elk during the 2013 Montana Archery Season. Watch Switchback team member and MINOX Adventure Team member Toby Gangler as he pursues a nasty sounding bull 2 miles into the Oregon high country. He pushes the bull until dark only to have him slip away into another drainage. See if persistence pays off as he goes after the bull he dubbed "Growler" a couple days later. Watch as team member Toby's wife Samantha of the MINOX Adventure Team arrows a great 6x6 bull in Eastern Oregon with her dad Mike calling and running the camera. Toby was able to make it up to help with for the recovery which proved to be more difficult than hoped. Switchback Team member Toby and his wife Samantha of the MINOX Adventure Team push her dad Mike to finish out a hunt that they were half way through. 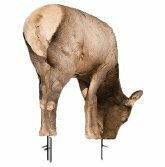 Mike's back was sore from helping Toby pack out his bull the day before and he had an insatiable need for a sandwich back at the truck. See what happens when the trio push through and hunt just a little farther. A 10 minute preview of the full 60 minute DVD from The World Hunting Club. The 2013 Elk Hunt Total Giveaway #1. Watch as WHC takes a hunter on an all-expense paid trip to Canada to hunt a Trophy Elk. Please subscribe to or our Quick Elk Hunting Tips and Updates newsletter or to an RSS feed (see left column for both) to be alerted whenever new information is added to the site.